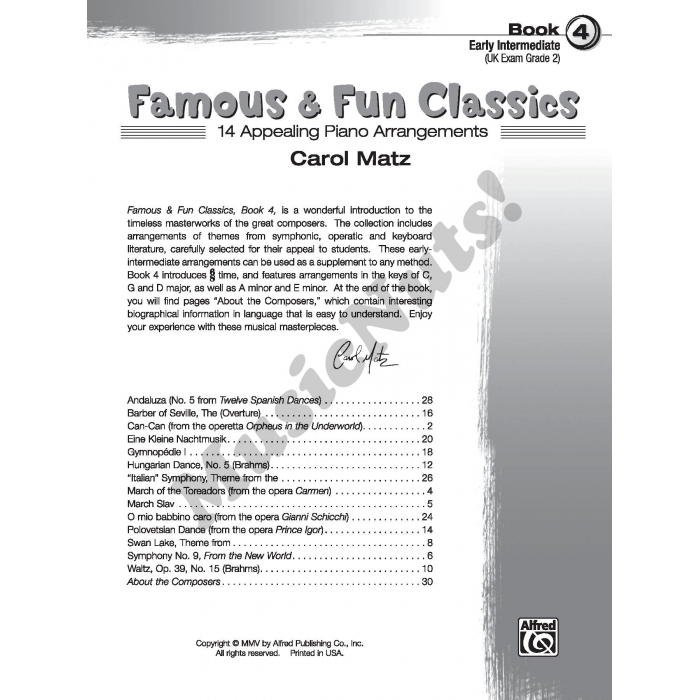 Arranger: Carol Matz ► Famous & Fun Classics Book 4 offers a wonderful introduction to the timeless masterpieces of the great composers. Featuring arrangements of themes from symphonic, operatic and keyboard literature, these works have been carefully selected to appeal to students at the early intermediate level. 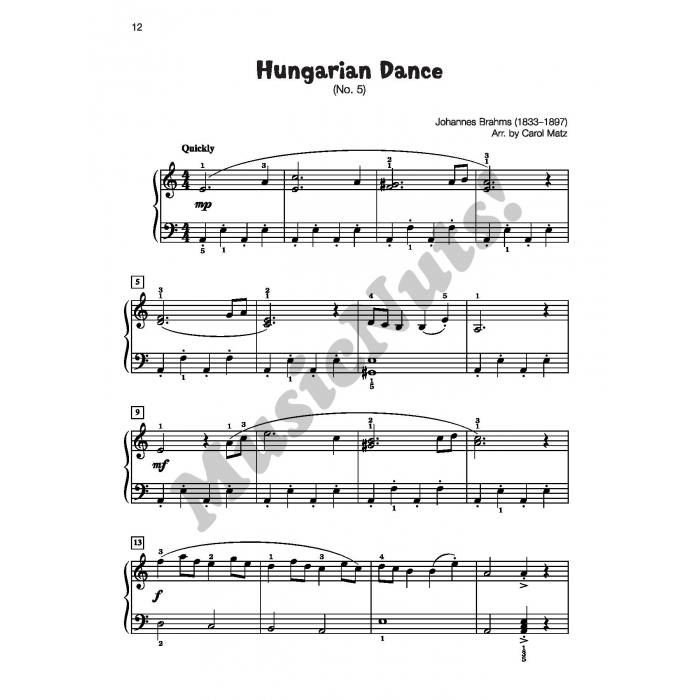 Titles: Andaluza * The Barber of Seville (Overture) * Can-Can * Eine Kleine Nachtmusik * Gymnopédie I * Hungarian Dance, No. 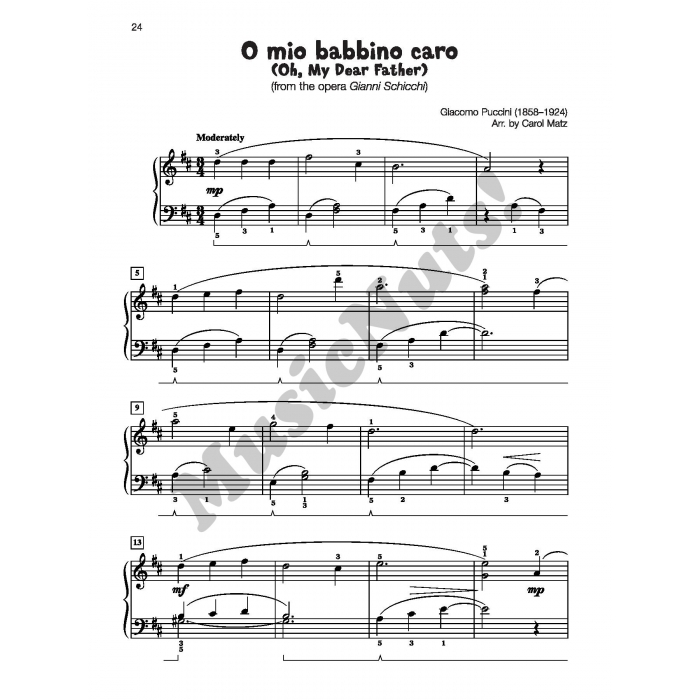 5 (Brahms) * Theme from the "Italian" Symphony * March of the Toreadors * March Slav * O mio babbino caro * Polovetsian Dance * Theme from Swan Lake * Symphony No. 9, From the New World * Waltz, Op. 39, No. 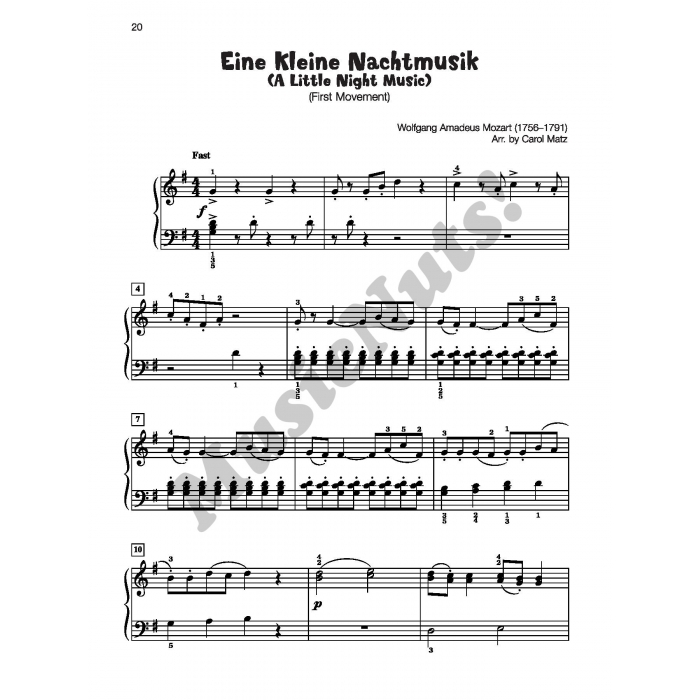 15 (Brahms).